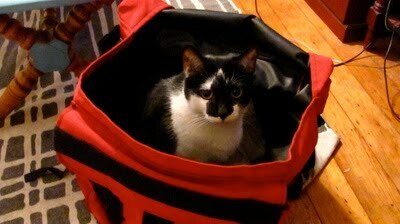 He got in my bag when I was packing the night before. He obviously wanted to come to Mexico. My cats always get nervous and sad when they see us packing. I have to constantly watch my suit cases for shenanigans like this. awww i miss gizmo. he's such a cutie!